Medical Case Reports is an open access, peer-reviewed online journal publishing original and educationally valuable case reports that expand the field of medicine. The journal covers all medical specialties comprising a comprehensive resource for physicians in all fields and at all stages of training. 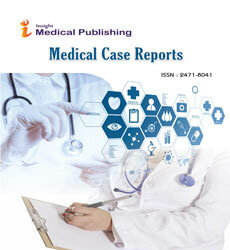 The aim of the Journal is to provide a platform for the researchers and academicians throughout the world to speedily publish (at affordable fee), share and discuss rare and new findings in the areas of Medical Sciences.Medical Case Reports is an open access, peer-review journal which follows single-blind review system, it often follows Editorial Managing System for review process of an article. Medical Case Reports delivers a focused valuable collection of cases in all disciplines so that healthcare professionals, researchers and others can easily find clinically important information on common and rare conditions. The journal mainly focuses on symptoms, signs, diagnosis, treatment, and follow-up of patient disease in different areas. The journal covers all aspects from medical sciences including Diabetes Case Reports, Cancer Case Reports, HIV Case Reports, Obesity Case Reports, Abortion Case Reports, Mental Case Reports, Depression Case Reports, Cardiology, Clinical Biology, Developmental Biology, Dentistry, Genetics, Medical Biotechnology, Nephrology, Neurology, Obstetrics and Gynecology, Orthopedics, Otorhinolaryngology, Pharmacology, Reproductive Biology, Rheumatology, Surgery, Urology etc. In 2012, an estimated 14.1 million new cases of cancer occurred worldwide more than 4 in ten cancers occurring worldwide are in countries at a low or medium level of Human Development Index (HDI). The four most common cancers occurring worldwide are lung, female breast, bowel and prostate cancer. These four account for around 4 in 10 of all cancers diagnosed worldwide. Lung cancer is the most common cancer in men worldwide. More than 1 in 10 of all cancers diagnosed in men are lung cancers. Worldwide, almost 32.5 million people diagnosed with cancer within the five years previously were alive at the end of 2012 (estimated). An estimated 169.3 million years of healthy live were lost globally because of cancer in 2008. HIV is the world’s leading infectious killer. According to WHO, Exit Disclaimer an estimated 39 million people have died since the first cases were reported in 1981 and 1.5 million people died of AIDS-related causes in 2013. HIV, the virus that causes AIDS, is one of the world’s most serious health and development challenges, According to the World Health Organization (WHO), Exit Disclaimer there were approximately 35 million people worldwide living with HIV/AIDS in 2013. Of these, 3.2 million were children (<15 years old). 2.1 million individuals worldwide became newly infected with HIV in 2013. This includes over 240,000 children (<15 years). Most of these children live in sub-Saharan Africa and were infected by their HIV-positive mothers during pregnancy, childbirth or breastfeeding. A UNAIDS report Exit Disclaimer shows that 19 million of the 35 million people living with HIV today do not know that they have the virus. The vast majority of people living with HIV are in low- and middle-income countries. According to WHO, Exit Disclaimer sub-Saharan Africa is the most affected region, with 24.7 million people living with HIV in 2013. Seventy-one percent of all people who are living with HIV in the world live in this region. In 2014, more than 1.9 billion adults, 18 years and older, were overweight. Of these over 600 million were obese. Overall, about 13% of the world’s adult population (11% of men and 15% of women) were obese in 2014, 39% of adults aged 18 years and over (38% of men and 40% of women) were overweight. The worldwide prevalence of obesity more than doubled between 1980 and 2014. In 2013, 42 million children under the age of 5 were overweight or obese. Once considered a high-income country problem, overweight and obesity are now on the rise in low- and middle-income countries, particularly in urban settings. In developing countries with emerging economies (classified by the World Bank as lower- and middle-income countries) the rate of increase of childhood overweight and obesity has been more than 30% higher than that of developed countries. Depression is a common illness worldwide, with an estimated 350 million people affected. Depression is different from usual mood fluctuations and short-lived emotional responses to challenges in everyday life. Especially when long-lasting and with moderate or severe intensity, depression may become a serious health condition. It can cause the affected person to suffer greatly and function poorly at work, at school and in the family. At its worst, depression can lead to suicide. Suicide results in an estimated 1 million deaths every year.Even in some high-income countries, people who are depressed are not always correctly diagnosed, and others who do not have the disorder are occasionally misdiagnosed and prescribed antidepressants.The burden of depression and other mental health conditions is on the rise globally. Heart disease is responsible for the most deaths worldwide for both men and women of all races. Coronary artery disease, a blockage of the arteries that supply blood to the heart, is the most common type of heart disease. About 600,000 people in the United States die from heart disease every year—that’s one in four deaths. Every year, 715,000 Americans have a heart attack. Fifteen percent of people who have a heart attack will die from it. Heart disease affects whites and African Americans the most, accounting for 24.3 and 24.1 percent of deaths, respectively. Asians and Pacific Islanders are at third-highest risk for a heart disease-related death, at 22.5 percent. It accounts for 20.8 percent of deaths in the Hispanic community, and 17.9 percent in American Indians and Alaska Natives. Veterinary Case Reports journals aims to publish cases in all disciplines so that veterinary professionals, researchers and others can easily find important information on both common and rare conditions pertaining to veternary. All articles are peer reviewed before publication.